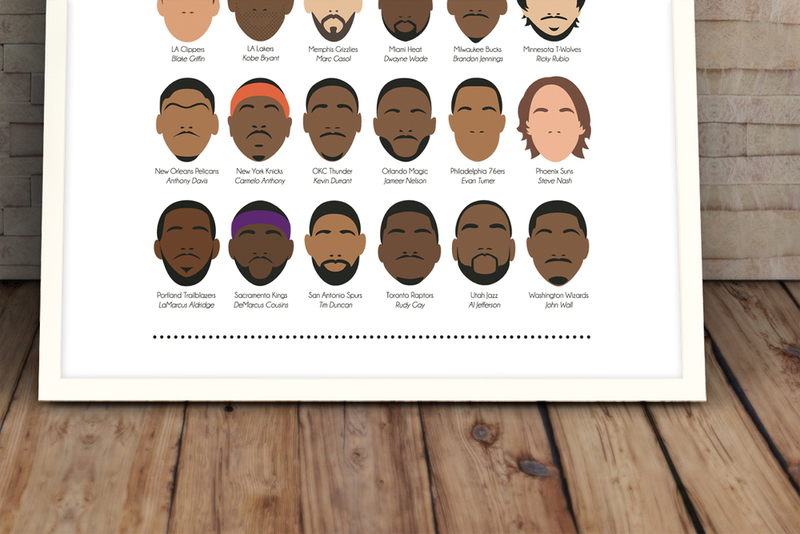 As a personal piece, I decided to take a minimalist approach to display a "franchise" player from each NBA team. Players were defined by basic features that included skin-tone, hair, facial hair and their unique nostrils. The franchise players were compiled from 2011–2013 rosters. I look forward to updating this soon.